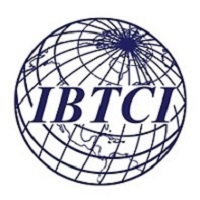 International Business & Technical Consultants, Inc. (IBTCI), a U.S. based international development consulting company established in 1987, has worked in over one hundred countries and implemented over three hundred projects. IBTCI serves government agencies, private sector companies, and several donor agencies. IBTCI specializes in Monitoring & Evaluation (M&E) across many sectors including, but not limited to, conflict and crisis, democracy and governance, economic growth, education, environment, and global health. IBTCI is seeking a Team Leader for the United States Department of Agriculture (USDA) to advise a team conducting a Risk and Resilience Capacity Assessment in Tanzania. The Risk and Resilience Capacity Assessment (will provide a comprehensive and consolidated risk and resilience assessment for the region of Rukwa in Tanzania, to inform the development of a new USG framework to reduce food insecurity, poverty, and malnutrition in Rukwa. This position is contingent upon award. This position does not authorize/ require the consultant to directly communicate with IBTCI Client. This position does not authorize/ require the consultant to have decision making authority on final work product. While working on an open recruitment with IBTCI, the consultant shall not work on that same recruitment opportunity with any other organization. 7-10 years working experience in international development programming on poverty reduction, agriculture, nutrition, vulnerability, and complex risk environment, governance, women’s empowerment, or related fields. Internationally recognized specialist and a leading member of the resilience measurement community of practice. Experience working in Tanzania or East Africa preferred. Education: Master’s degree in Monitoring & Evaluation, Economics or a related field. Working Environment: Significant field time for data collection and office time for analysis. Supervisory Responsibility: This position does have supervisory responsibilities. Travel: International travel will be required. Ability and willingness to travel throughout Tanzania. No phone calls please. All candidates will be contacted, but only final candidates for particular activities will be contacted.